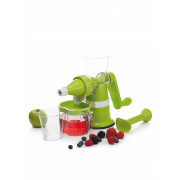 Kitchen Craft present this hand operated juicer which is a quick and simple option to create refreshing, nutrient rich juices. Fill up the juicer housing and rotate the handle, the machine features a cup for pips, seeds and pulp and separate cup for smooth juice. 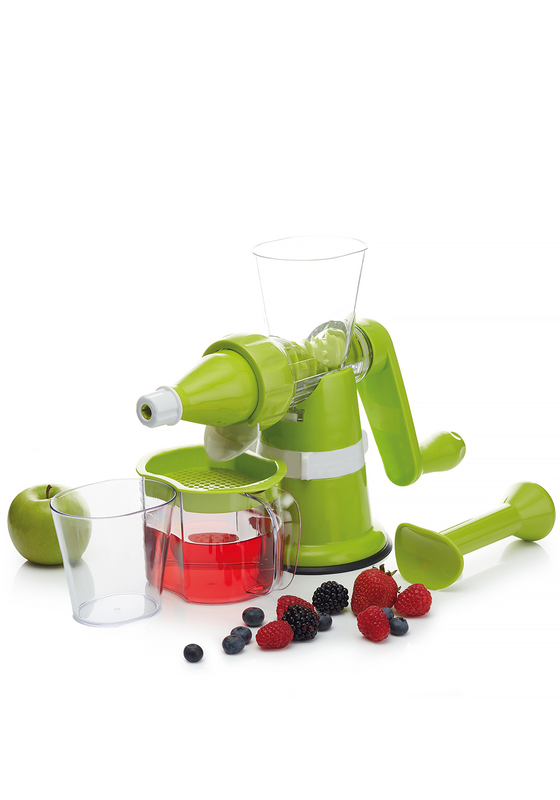 A non-slip suction base ensures the juicer will not slip or move as you turn the handle.